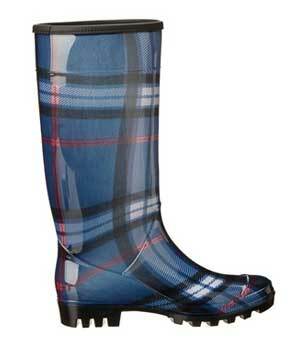 Super Chic designer plaid rain boots by Ralph Lauren. 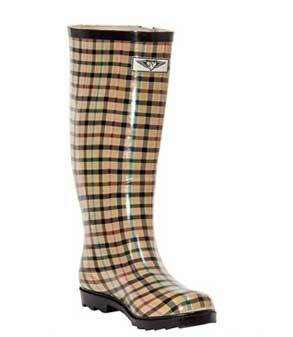 Plaid is back in fashion again and these wellingtons are one of our favorites. Tan colored rubber boots with black trim. Also available in 12 other designs. Available in Blue and red designs. Ankle style tartan plaid . 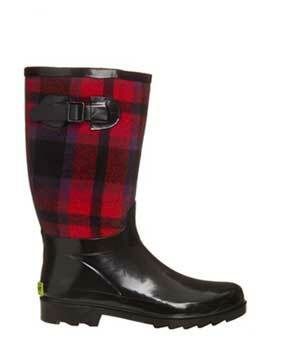 Sunville short ankle rain boots. Available in plaid, polka dot and glossy black. 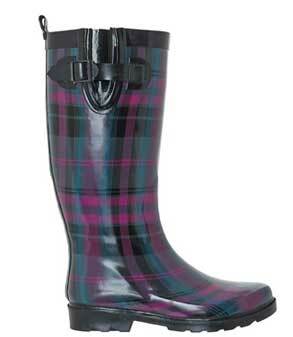 Shiny finish purple plaid wellingtons. 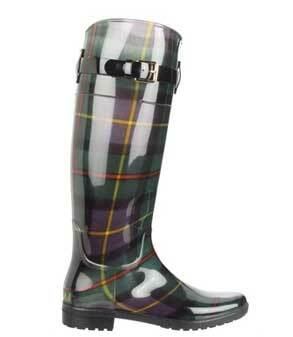 Durable rain boot with stylish waterproof coated plaid uppers. 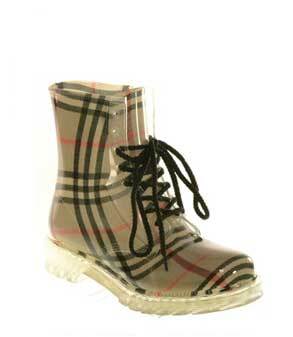 Combat style clear ankle rain boots. 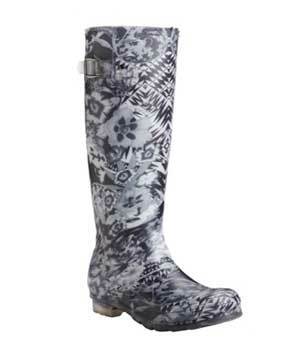 Fashionable taupe colored rain boots with lace up effect. 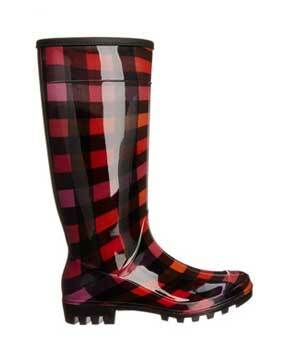 The Ravenous plaid rain boot from Dirty Laundry. 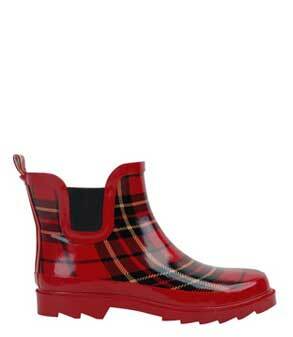 A glossy finished waterproof boot available in red and blue. 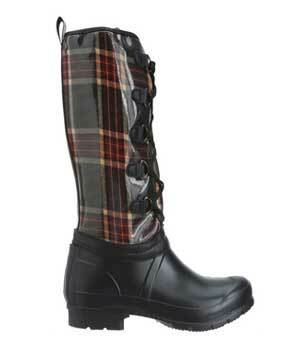 The Mayfair from Western Chief is a sleek boot with fashionable plaid flannel uppers. 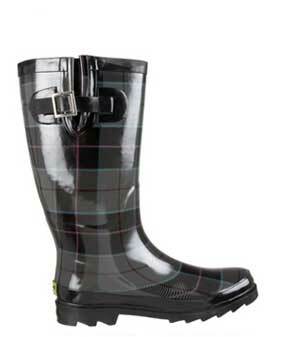 Charcoal plaid rubber boot from Western Chief.The Seattle is a fashionable but sturdy option for the wet weather. 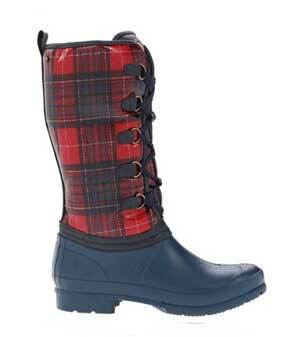 Navy boot with red plaid uppers and lace up front effect. 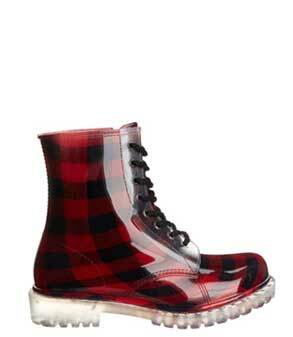 Qupid Plaid Clear Lace up. 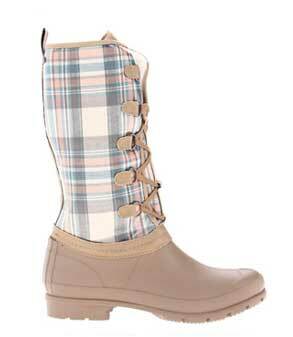 Combat style ankle rain boots available in plaid and camouflage designs. 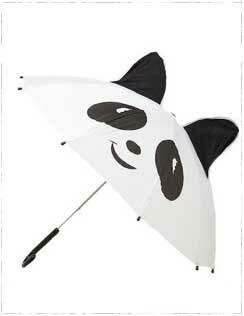 For all panda lovers – this super cute novelty panda brolly will brighten even the most miserable of rainy days. 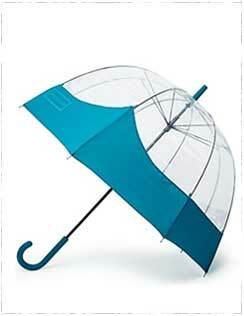 Fulton Deluxe Birdcage Dome Umbrella. 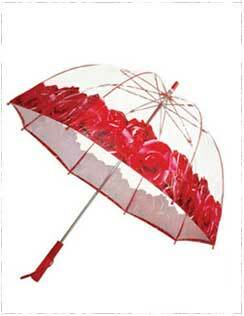 Elegant designer dome umbrella. Add some sophistication to a rainy day. Steel and fiber glass framed semi transparent brolly from rain boot legends Hunter Boots.